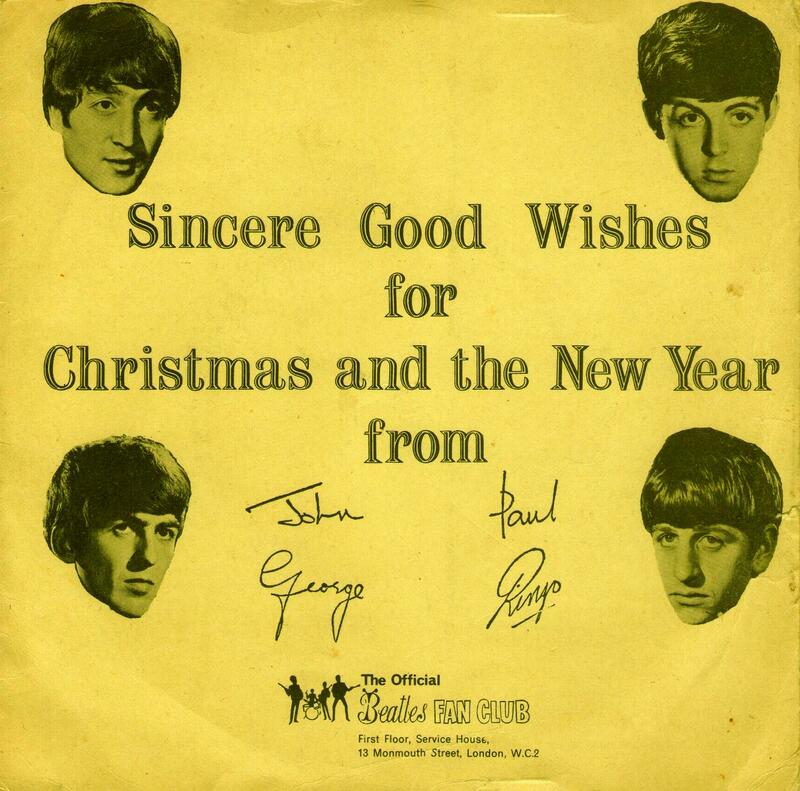 This entry was posted in Beatles, Beatles Collecting, Beatles Music and tagged Beatles, Beatles Collecting, George Harrison, John Lennon, Music, Paul McCartney, Ringo Starr by beatlesblogger. Bookmark the permalink. Wow! That is some collector’s item. 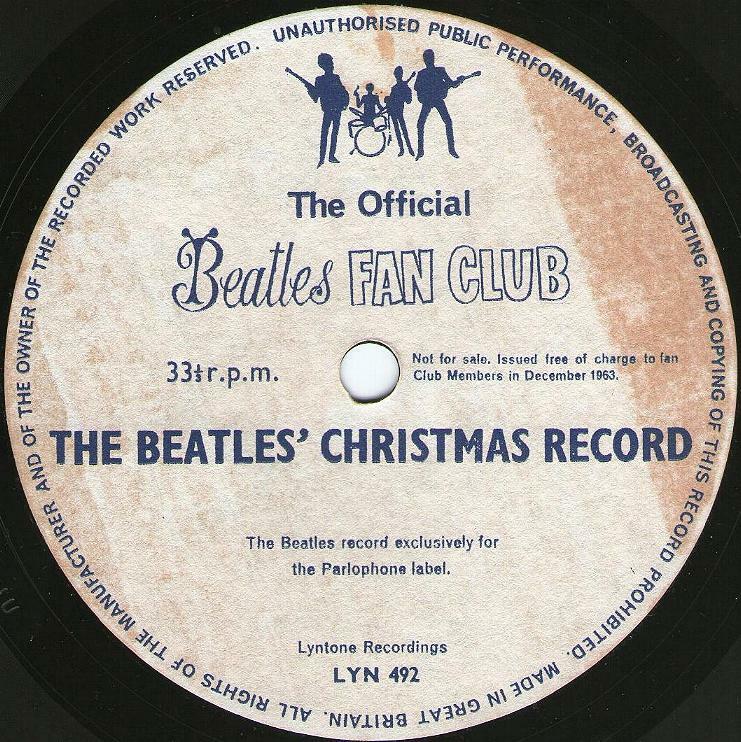 I have read lots of Beatles fan sites, including much discussion of rare releases, but this is the first time I have ever heard of the fan club only Christmas records. 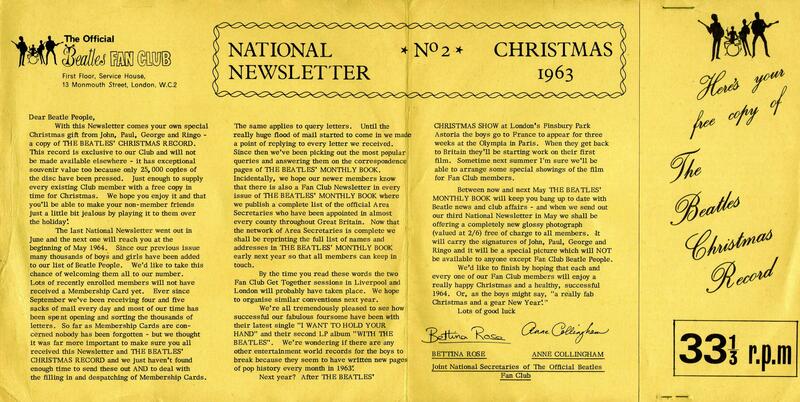 Incidentally, the first time I ever heard the expression “Happy Christmas” was in a Christmas song from John Lennon’s solo careers.